Chorus America/ASCAP Award for Adventurous Programming! We are proud and thrilled to announce that Coro Allegro has been named a recipient of the 2019 Chorus America/ASCAP Award for Adventurous Programming! The award recognizes Coro Allegro's commitment to fostering and promoting new music, and our 2017-2018 season, which celebrated David Hodgkins’ 25th anniversary as Artistic Director with four premieres and commissions by American composers. Read more at the Coro Blog about our award-winning season. 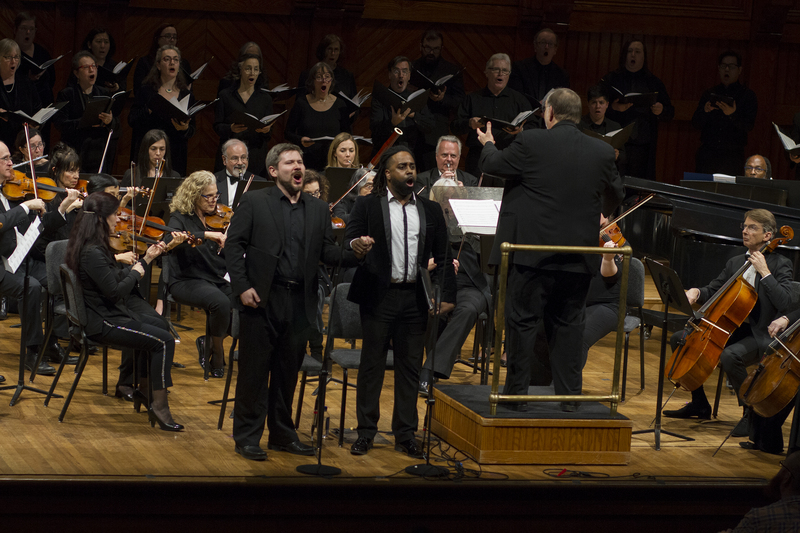 This spring, members of Coro Allegro, Boston's LGBTQ+ and allied classical chorus, will particpate in the annual Walk for Music and the Arts. Help us meet our goal and support our efforts to bring exciting repertoire and vibrant music making to diverse Boston communities. Sponsor a singer or the whole chorus with a contribution of any size. Learn More. Rachmaninoff brings a great ritual radiantly to life. Experience this luminous masterwork of limitless invention, based on echoes of ancient chant. Learn More. Join Coro Allegro for a summer evening of music, dance, delicious small bites, and summery libations. Celebrate another fabulous year of music and help support the upcoming season. Learn More. Review: "America/We Need to Talk"
In the spring of 2018, Coro Allegro and Artistic Director David Hodgkins were proud to record We Are Here at Futura Productions. The album features Kareem Roustom's Rage Against the tyrant(s) and Eric Banks' Aluta continua: The passion of David Kato Kisule, two works by American composers bearing witness to international human rights. Keep an eye out for the full album in 2019! 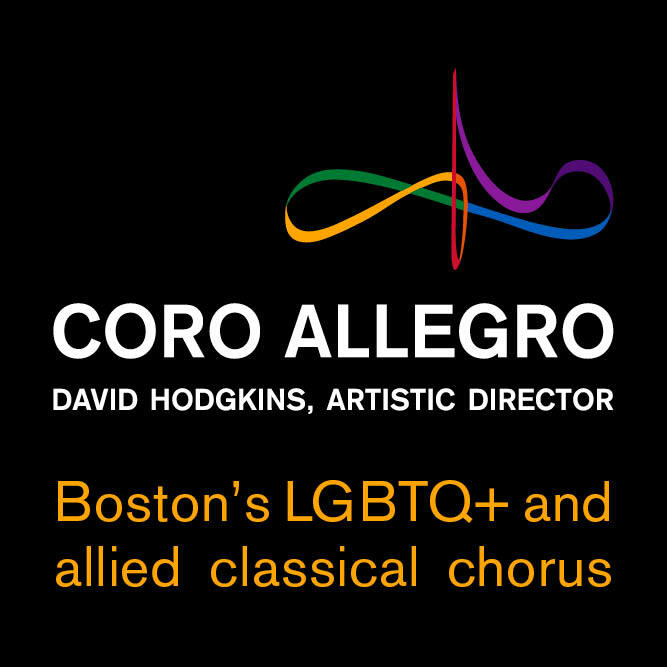 Coro Allegro is Boston's LGBTQ+ and allied classical chorus. 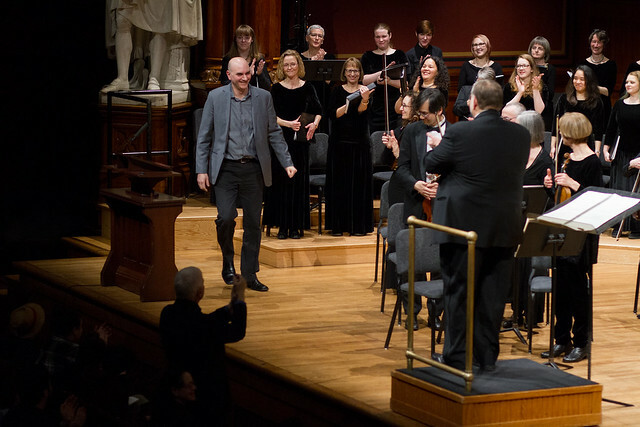 Under the baton of Artistic Director David Hodgkins, Coro Allegro is known for award-winning programming, powerful commissions, and critically acclaimed performances and recordings of works by diverse classical and contemporary composers. We are proud to offer a welcoming, affirming and supportive environment for performers and audiences alike. Experience that pride and community for yourself. Join the Coro Family of friends, allies and members of the LGBTQ+ community as a singer, supporter, or volunteer. Coro Allegro is seeking new singers for its 2018-2019 season. Auditions will be held by appointment for all voice parts! Learn more about the process and schedule an audition today! Stay updated on Coro Allegro's upcoming concerts, auditions, and fundraising events.